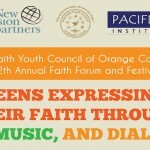 A group of youth from Pacifica Institute attended an interfaith event at the Christ Cathedral Academy along with the community of Focolare Movement. 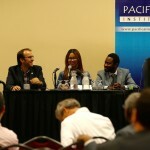 There were more than a dozen speakers to introduce their organizations and faith traditions. 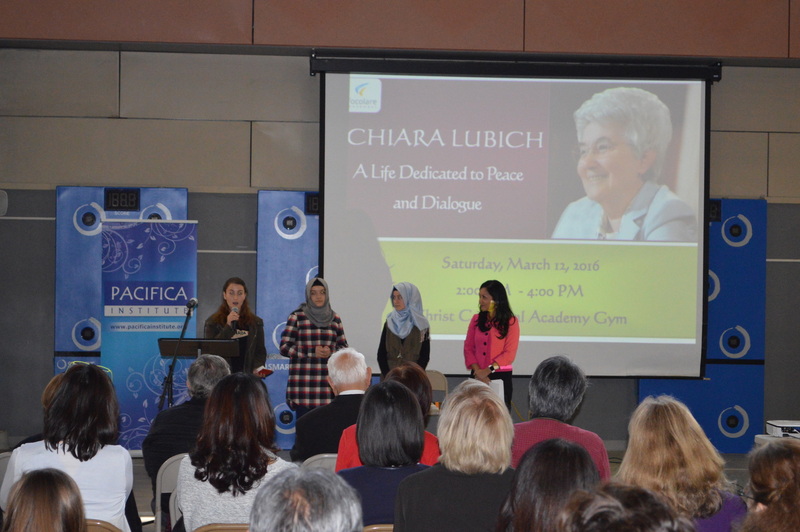 One of the topics was about about Ms.Chiara Lubich who had actually started the “Peace Project”. 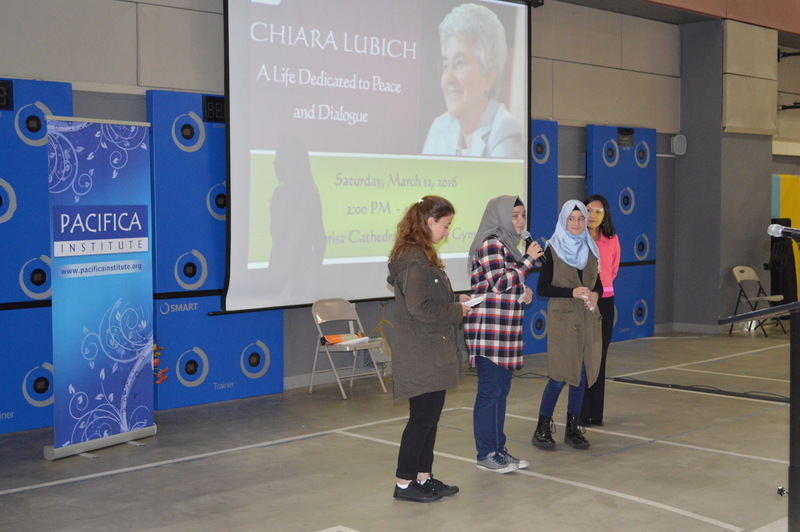 Ms Lubich was a strong believer in respect and equality of the people, no matter where they were from and what religion they belonged to. She would say that sharing must come from our hearts and was a strong believer in helping others in any way and anything we do, small or big, it would give peace and change lives. The second speaker, Ms. Barbara, a teacher, talked about her 3rd grade colleague, who had given her ideas about tutoring. 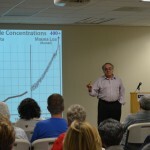 Another speaker had sugge sted to help struggling kids in schools. Students met other group of children during the event. They offered each other presents and prepare food for the ones in need. Another topic was about an organization called CRS that helps Syrians. 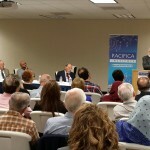 They shared their experiences when they met Syrian kids, how the kids were happy to receive help and gifts.The Syrian families were also happy to hear that they would not be left out only because they were Muslims.Pacifica Institute teens made a presentation about the institute, its mission and showcased some of the activities along with its philosophy. At the end of the meeting students of various faith traditions got together to have some snacks and drinks.